Both Lucas Hernández and his girlfriend, Amelia Lorente, have been accused of domestic violence and handed a restraining order. 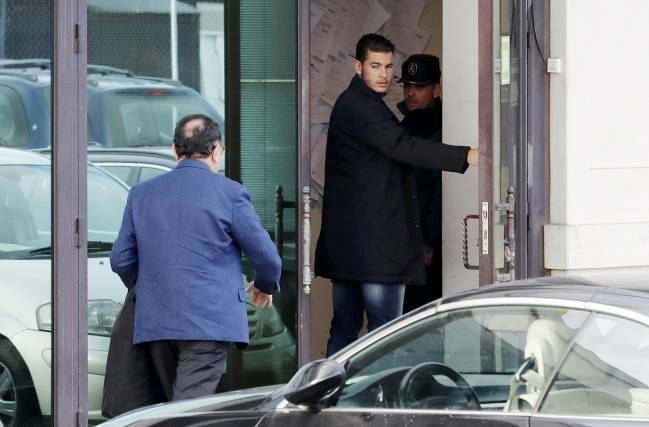 Atlético Madrid defender Lucas Hernández and Amelia Lorente appeared in court on Monday after the former was arrested on Friday morning on charges of alleged domestic assault. Lorente, who called the police to the incident last week, was also appearing in front of the magistrate accused of assaulting the player. After the court hearing, the public prosecutor announced that both would be charged with different offences and confirmed that the judiciary will seek prison terms of seven months for Hernández for “a crime of domestic abuse” and six months for Lorente for the same offence and a separate charge of damages. A mutual restraining order of 500m and a ban on contacting each other by any means for a period of two years was imposed on both parties. 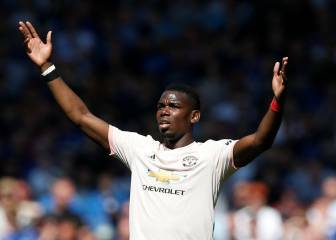 The prosecutor also sought to have Hernández banned from owning or carrying weapons for a period of two years and petitioned for a fine for Lorente of 10 euros a day over a period of two months, with the punishment of one day’s detention for every two consecutive days of non-payment. Hernández and Lorente both attempted to strike a deal with presiding magistrate but the prosecutor decided to press ahead with charges and the matter will now be referred to a criminal court.